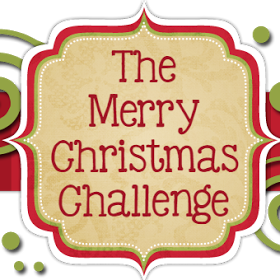 It's time for a new challenge over at The Merry Christmas Challenge and as always the theme is Anything Goes. We also have an optional theme you can use, which is fun fold cards this week. I've been swamped at work and at home, 'tis the season!, so I kept my card simple this week. I'm a huge nature love and living in Alaska I get very spoiled with our beautiful scenery and wildlife. 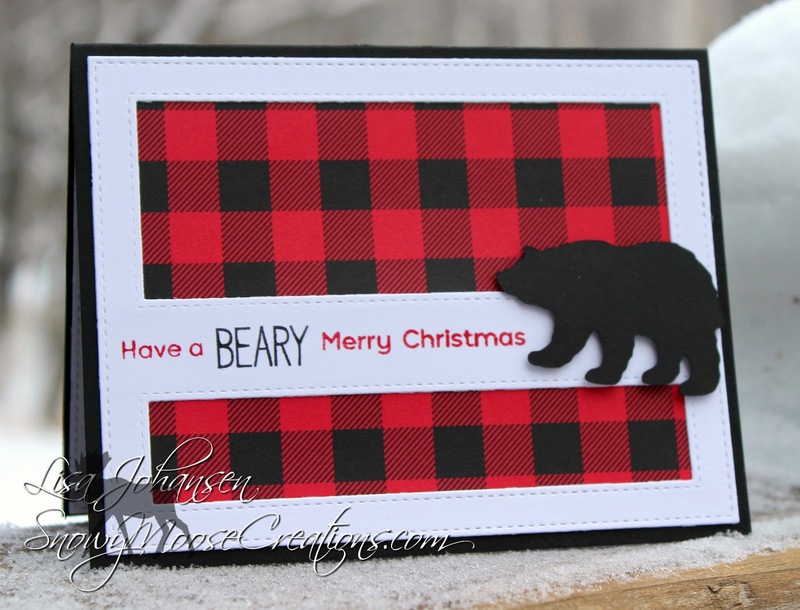 My card this week features one of Alaska's most famous animals, the bear! As soon as I saw this paper I knew it would be perfect with a bear image! I created the sentiment by mixing and matching some sets in my stash. Make sure and head on over to The Merry Christmas Challenge to see what the rest of the DT created and then play along with us!